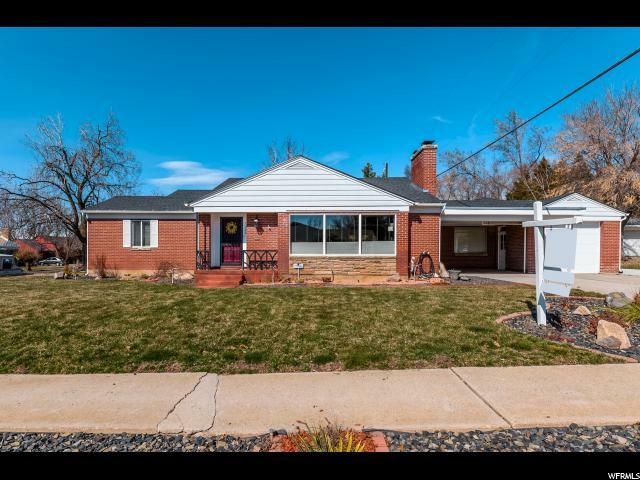 All HILLCREST ADDITION homes currently listed for sale in Ogden as of 04/22/2019 are shown below. You can change the search criteria at any time by pressing the 'Change Search' button below. "This home has it all! Elegant, fully updated rambler with beautiful flow and spacious rooms. You'll enjoy a remodeled modern kitchen with ceiling height cabinets, stainless appliances and granite countertops, a truly enormous master bedroom with zoned heating & cooling, an oversized walk-in closet and your own ensuite bathroom with jetted tub; the home is centered on a large family room with generous picture windows for tons of natural light & views + an easy to use gas log fireplace with classic marble surround for your enjoyment on chilly nights. You'll be happy to know the home also offers hardwood floors, new vinyl windows, new carpet and paint and updated electrical and plumbing. Corner lot so there is only one direct neighbor - lots of outdoor space for entertaining or gardening & yes the hot-tub stays! Extra long RV pad + covered parking & a garage for all your vehicles and toys. "